Betsson – Free Spins Rain! Spin for your rainy day surprise! Collect Daily Surprise Free Spins! 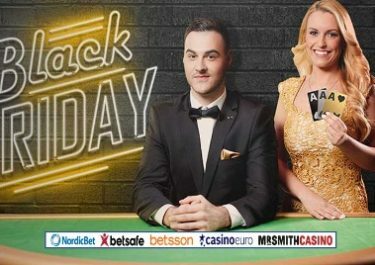 Get ready for an exciting week at Betsson as it’s raining free spins in the casino. With this kind of rain, you can leave the umbrella behind because this is something that you would like to feel. Play for at least €50 on slots or video slots before midnight to get a surprise bunch of Free Spins inside one of their fantastic games. The Free Spins are rewarded on different slots for each day and they can be claimed both from home or from the world’s biggest mobile casino. Make sure to check your Betsson inbox for a message with all necessary details. 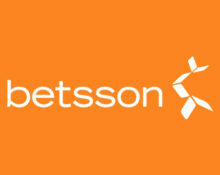 Not yet joined the fun at Betsson? Then sign-up now and claim their generous 100% Welcome Bonus, up to €100. Bonus terms and conditions apply. 18+ only. Exclusive for players from Finland, Germany, Iceland, Norway, Poland, Sweden and Switzerland. Rainy days ahead of us as autumn progresses towards winter. A different kind of rain is happening right now at Betsson, every day until 12th November 2017. Play your favorite slots to receive a daily shower of Free Spins, delivered directly to your Betsson inbox. OPT-IN on the promotion page and wager each day the required amounts on classic and video slots to receive a random surprise amount of 25 | 50 | 75 | 100 Free Spins. Only one amount of Free Spins per player per day. Spins earned from Monday to Thursday will be credited by 18:00 CET the following day, spins earn on Friday, Saturday and Sunday will be credited by 18:00 CET on Monday. Wagering requirement is 25x FS winnings, subject to the Betsson bonus terms and conditions.